This October three shows aimed at families will be coming to Northern Stage. Northern Stage has a reputation for fresh and relevant productions of modern classics that attract audiences of all ages. We saw James and the Giant Peach, The Twits and Alice in Wonderland with the boys; and also Hedda Gabler and the magnificent and soon to return War of the Worlds without the boys. It's always been a great day or night out, with or without the family. First up and bringing family entertainment to the North East this October is The Snail and The Whale, which has been inspired by the book by Julia Donaldson & Axel Scheffler, loved by so many children and adults. 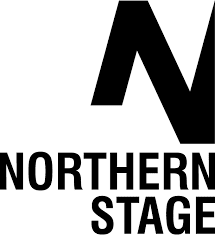 You’ll find performances at Northern Stage from 3-5 October. The 2018 UK Tour coincides with the 15th anniversary of the publication of The Snail and the Whale which is also being marked with a special edition of the book. There will be storytelling, live music and lots of laughs, in a show for everyone aged 4 and up. The Snail and the Whale is at Northern Stage from 3-5 October for four performances - Wed 3 Oct, 3.30pm; Thu 4 & Fri 5 Oct, 10.30am & 1.30pm. Tickets are £9.50 for children and £12.50 for adults. Now, my boys are sadly too old now for The Snail and the Whale but we have a family ticket to give away over on our FACEBOOK page. Good luck if you enter! Egg and Spoon is an interactive romp through the seasons. Meet Percy, April and Birdy, still hiding in his glowing egg. We'll have to wait until spring if we want to see him, so it’s time to begin our hands-on journey through the year. We’ll run through the rain and the falling leaves and sleep under the snow until the sun wakes us up for the butterfly party. 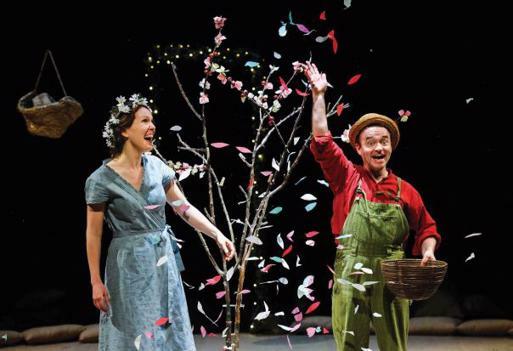 Egg and Spoon is a perfect, gentle introduction to the magic of theatre. Performances are Mon 22 Oct, 4pm; Tue 23 Oct, 10.30am, 1.30pm & 4pm; Wed 24 Oct, 10.30am & 1.30pm. Tickets £8.50. Running time is 40 mins (no interval) and the recommended age is 1-5. Dinosaur World Live brings dinosaurs to life on stage in an interactive show for all the family (ages 3+). Direct from a hugely successful West End summer season, Dinosaur World Live visits Northern Stage as part of its third UK tour this autumn. 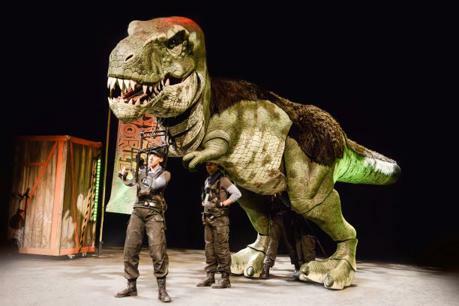 Using stunning puppetry to bring remarkably life-like dinosaurs to the stage, Dinosaur World Live presents a host of impressive creatures including every child's favourite flesh-eating giant, the Tyrannosaurus Rex, along with a Giraffatitan, Microraptor, Segnosaurus and Triceratops. Hosted by Miranda, daughter of palaeontologists, who grew up surrounded by dinosaurs on a far-away island off the coast of South America, the show introduces audiences to her favourite pre-historic pals. But be warned...some of these dinosaurs aren’t as docile as they seem! If looking for fun things to do with the kids, Dinosaur World Live delivers an entertaining and educational live show that promises to delight the whole family. Each performance is followed by a post-show meet and greet where audience members have the opportunity to meet some of the dinosaurs up close and in person. Dinosaur World Live is at Northern Stage from 22-24 October. Running time is 50 mins (no interval) + 15mins post-show meet and greet with the Dinosaurs. Tickets are £14. Performances are Mon 22 Oct, 4.30pm; Tue 23 Oct, 11am & 4.30pm; Wed 24 Oct, 2pm & 4.30pm. As this one is suitable for children up to 12 (and their dinosaur-loving parents) my boys are really looking forward to this one. For all shows at Northern Stage book online or call 0191 230 5151. Which show would you love to see? 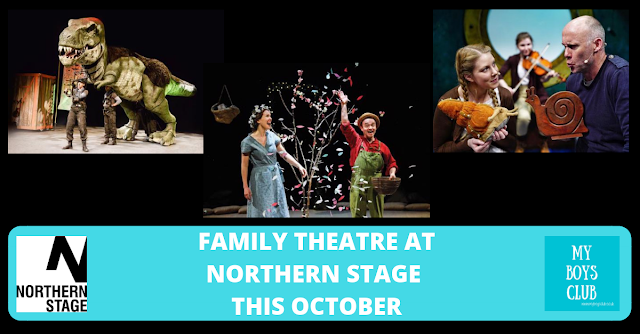 Disclosure: We have received complimentary tickets to Dinosaur World Live and competition prizes for The Snail and the Whale in return for pre-viewing these forthcoming family shows Northern at Northern Stage. Photography provided by Northern Stage.